ESL / ELA Grammar Charts about the Types of Nouns in English. 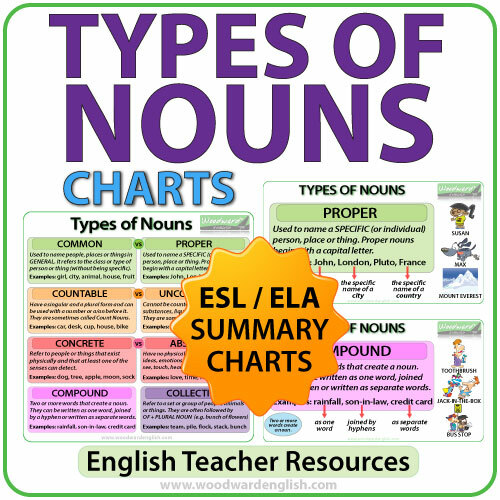 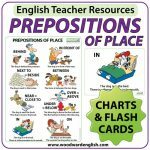 ESL / ELA Grammar Charts about the eight main type of nouns in English – Common Nouns, Proper Nouns, Countable Nouns, Uncountable Nouns, Concrete Nouns, Abstract Nouns, Compound Nouns and Collective Nouns. 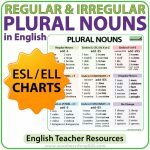 Includes bonus summary chart with the 8 noun types in a single chart. 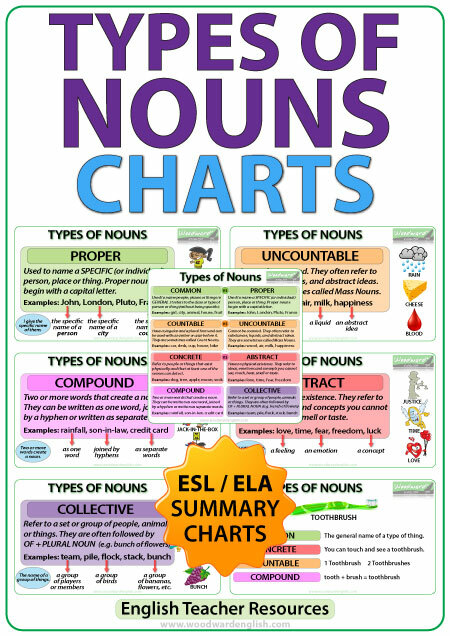 Also included is a chart using the noun Toothbrush to show that nouns can be more than one type of noun. 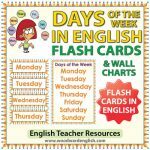 Toothbrush can be a common noun, a concrete noun, a countable noun, and a compound noun. 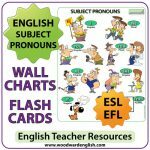 These charts are ideal for putting on the classroom wall or could also be made into booklets for students to use as a reference guide.